Does your extra weight keep finding you over and over again, no matter how much effort you put in? Your genes may have an answer for it. Read on to learn how you can optimize your weight loss routine with the help of your knowledge of your genetic make-up. Despite trying out the innumerable approaches for weight loss, most of you have been failing at it terribly and repeatedly. The conventional fitness and nutrition advice would not work for everyone. Each person’s gene sequence, microbiome, environment, and lifestyle vary, and this impacts the dietary requirements and exercise habits. Genetic testing may reveal as to why your efforts to lose weight has been failing you. Genetic factors influence how your body processes certain nutrients. This may have a direct or indirect effect on weight loss or weight gain. For instance, the gene “Apolipoprotein A2” (APOA2) is involved in the production of a particular protein which affects how your body responds to saturated fats. If you happen to be one who possesses a variant of this particular gene, no matter how much you control your calorie-intake, you could still be gaining weight. Yet, if you cut down saturated fat from your diet, weight loss may just as well be a cake walk! It may not always be this straightforward. It is important to note that, there are other genes, variables and lifestyle habits that impact your weight. While genetic testing may not have answers to all your questions, it can serve as guide for outlining a diet plan that is based on results as opposed to generic cookie-cutter plans. 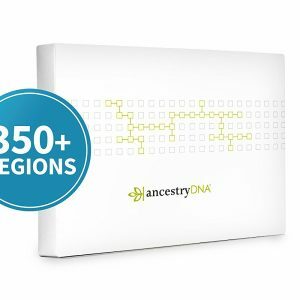 The ancestry genetic testing company 23andMe had launched a study in December 2017 involving 100,000 individuals to learn about the genetic variants associated with weight loss, and the effectiveness of various dietary approaches or exercises for weight loss. The Weight Loss Intervention Study sought to identify why each person responds differently to exercise and diet. This study focuses on behavioral weight loss, and builds on the work that went into the company’s Genetic weight report. 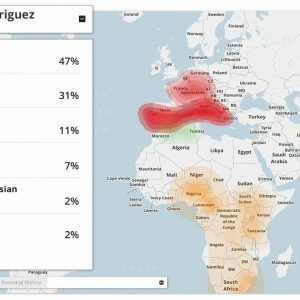 23andMe holds DNA data of over three million participants who sent their saliva samples, making it one of the largest DNA databases in the world. The researchers would send out weekly emails to guide the participants through the study, give them weight loss advice, meal suggestions, and other updates from the researcher forums. 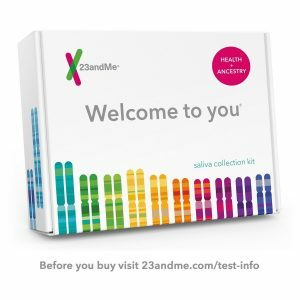 In another effort to encourage individuals to use genetic information in the quest for weight loss, 23andMe had announced a partnership with Lark Health. Lark Health is an Artificial Intelligence (AI) coaching service that delivers personalized weight loss advice, and tips for diabetes prevention via their app. This collaboration enabled customers to include weight-related genetic data provided by the former into the latter’s services. 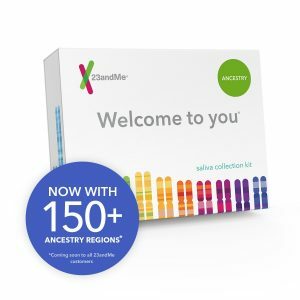 With an interest in turning its reports into actionable advice, 23andMe debates that it is simply used the data to make an already renowned and effective service, smarter. The consumers can simply message their AI coach to find out if a particular food was a good choice for them. According to Anne Wojcicki, CEO and co-founder of 23andMe, “Access to your genetic information is really just the beginning — using that information to prevent serious health consequences is the next critical step”. Rank the potential impact of certain food choices on a customer’s weight. Personalized recommendations based on 23andMe’s reports of Saturated Fat and Weight, Lactose Intolerance and Sleep Movement. 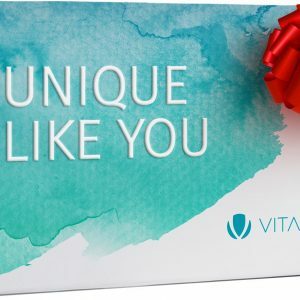 A popular personalized health & wellbeing company that uses swab samples or your DNA raw data from 23andMe to provide personalized diet and fitness insights and counseling. DNAFit was founded in 2013, they have been exploring how DNA affects an individual’s response to nutrition and exercise changes. DNAFit has recently joined the ‘Prenetics’ group- a Southeast Asian-based global leader in genetic testing and digital health. The company interprets DNA, genetic traits and environmental data to offer actionable and interactive advice for health and fitness. They combine a customer’s fitness goals with his/her DNA reports to create personalized recommendations. Pathway Genomics focuses on providing users with personalized healthcare information delivered to any device. Their app OME™ combines an individual’s personal health and wellness feedback with machine-based deep learning, and data science to provide tailored and actionable recommendations for physical well-being. The personalized genomics company that specializes in preventative healthcare offering Nutrigenetics (the interaction between nutrition and a person’s own genetics), Fitness Genetics and Health Genetic and many more, tests to enable users to adapt to preventive and proactive health practices. 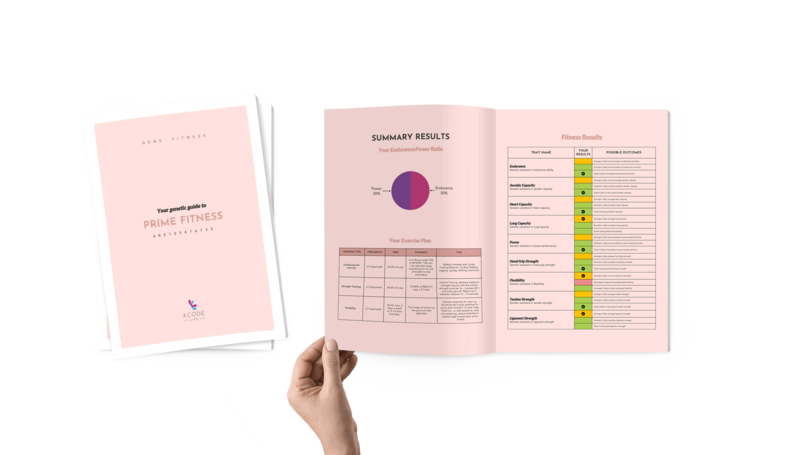 Xcode Life analyzes the two most important lifestyle factors that help in weight loss- Nutrition and Fitness. Read more: Which are the top 10 best DNA raw data analysis tools? The report includes more than 33+ categories of traits such which fall under broader categories such as certain behavioral tendencies, one’s genetic metabolism of macronutrients, one’s micronutrient requirement and food Sensitivities. While macronutrients are the type of food that we require in large amounts in our diet such as carbohydrates, proteins, fats, etc, micronutrients are those essential elements of life required in smaller quantities such as Vitamins, Copper, Zinc, etc. Overeating: Genes influence hunger, and satiety hormones such as leptin, ghrelin, and neuropeptides are analyzed to find out if you have a tendency to overeat or influence your body’s neurological aspects of feeding, producing effects like persistent hunger, excessive snacking, preference for high calorific food and emotional eating. Weight gain due to consumption of saturated fats: By analyzing your genetic type, the report identifies if you tend to gain weight while consuming Saturated fats like Butter, Cheese, Pork, etc. If you fall under this category, you could better maintain weight by cutting down or reducing the amount of saturated fats in your diets. Caffeine consumption: People with certain genetic variants tend to consume higher amounts of caffeine and studying the metabolism of caffeine (fast or slow) gives information about your risks for certain diseases. Regaining weight after a weight loss program: While a certain group of individuals maintains weight loss over a period of time, certain others tend to quickly regain weight after having been on a weight loss program. People who fall under this genetic type need to continue adhering to exercise and diet program for optimal weight maintenance. Carbohydrates– Being the main sources of energy, this macronutrient is considered weight increasing foods. Individuals of a particular genetic type tend to gain more weight while consuming it. Protein– In addition to being the important building block for bones, skin, blood, cartilage, and muscles, identifying how a person metabolizes it can reveal how much protein one should be consuming to maintain optimum weight. Fiber: Lack of fiber in one’s diet can cause weight gain. Finding out if a person’s genetic type can help optimize the amount of dietary fiber, can help them manage their weight better. Antioxidants– Dietary antioxidants can aid weight loss by benefiting your energy levels, improved metabolism and thereby preventing weight gain. Monounsaturated fatty acids (MUFA) – Despite its numerous benefits like anti-inflammatory properties, lowering blood pressure and maintaining triglyceride levels, MUFAs are also found to make certain people gain weight. Such individuals can better maintain weight by balancing the amount of MUFA foods such as olive oil, almonds, and avocados in their diets. Polyunsaturated Fatty Acids (PUFA)– Though PUFAs aid healthy brain, heart, skin, bone and vision, People of certain genetic type tend to gain weight upon consuming them. If the report finds out a person possesses this trait, they can better maintain weight by lowering the amount of PUFA foods such as vegetable oil, flax seeds, chia seeds, etc in their diets. Choline– Despite the adverse health consequences of choline deficiency, it can prevent body weight gain and improve glucose tolerance. Modest restriction of high-choline-containing foods like eggs, peanuts and liver might benefit obesity. Gluten: It’s not just consuming gluten that makes one heavy, but sensitivity to it can lead to inflammation and swelling of your gut, which in turn makes you to “hold on to fat” that you should have burned off. Lactose: People with a certain genetic type stop producing Lactase (the enzyme involved in the complete digestion of whole milk) in adulthood and are prone to gastrointestinal symptoms upon consuming large quantities of milk. Alcohol: People of certain genetic type may experience allergic reactions upon consuming alcohol due to reduced clearance of the chemical ‘acetaldehyde’ the body produces while consuming alcohol. Salt sensitivity: Moderating the amount of sodium intake may help one maintain healthier gut flora, which is linked to healthier body weight. In addition to the common medical problems associated with deficiencies of vitamins and minerals, it can also cause weight gain. Micronutrient deficiency can slow one’s metabolism and increase one’s cravings for certain foods that can be high-calorie ones and thereby cause weight gain. Also, micronutrient deficiencies can cause fatigue– that result in reduced fitness activities and thereby causing weight gain. 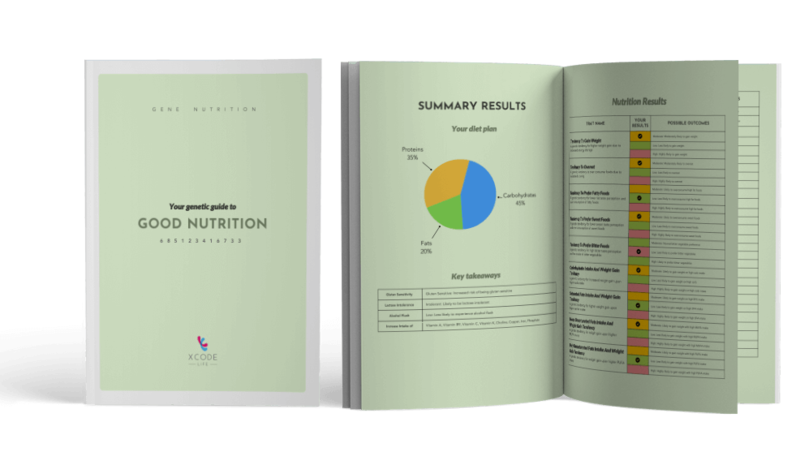 People of a particular genetic type tend to need more of a particular micronutrient and an Xcode Nutrition report finds out the same. Aerobic capacity (VO2 max)– Your genes influence how capable your body transports and utilizes oxygen during exercise. They also influence how strong your hand grip is and how much oxygen your body takes during exercise and Xcode life’s fitness report finds out the type of above-mentioned attributes about you. Flexibility: People of certain genetic types have better flexibility when compared to others, because of this. Needless to say, flexibility involves possessing joints and muscles that have the ability to move freely within any desired range of motion. Endurance: Your body’s capacity to utilize oxygen to produce energy and sustain it for a prolonged duration while working out is called endurance. Heart Capacity– Finding out if your heart has the ability to meet the increased needs of oxygen requirement during exercise. A person’s genetic type is responsible for their heart capacity and that is why we analyze the same for you. Total lung capacity, or TLC– The total amount of air in your lungs after taking the deepest possible breath. Lung capacity predicts health and longevity and your genetic type influences this. Exercise motivation: While some people are enthusiastic about exercising and playing sports, certain individuals simply lack the motivation for it. People of a certain genetic types have natural motivation towards physical activities compared to the rest. Tendon Strength: This is an important aspect of fitness because runners and sportsmen have the tendency to place stress on the Achilles tendon and are prone to muscle injuries. Insulin Sensitivity: This trait describes how sensitive your body is to the effects of the hormone insulin. Exercise fatigue: During exercise or physical activity, when there is a lack of oxygen, your body produces an enzyme called lactate and when this enzyme builds up in your body, it can be accompanied with muscle fatigue. Ligament Strength: Tendons and ligaments are those that connect muscles to your bones and in turn transmit force from your muscles to your bones, hence permitting bodily movements. People of certain genotype have better tendon strength than others. Power: When you perform high-intensity workouts for a short duration, you will experience a rapid burst of energy. The muscle fibers of fast twitch muscles are those that enable rapid and high-speed activities. Weight loss in response to exercise: Although exercisingregularly aids improved metabolism and weight management, only individuals with a certain genotype would benefit more than others when it comes to weight loss in response to exercise. Recovery from tissue damages and inflammations: Exercising can lead to minor tissue damages and inflammation. During rest periods, your body heals and recovers from these damages. While people of certain genetic types recover quickly, certain others require longer periods. Analyzing this can help manage the frequency of exercise, rehab intensity and supplementation needs.